Happy Wednesday! Half way through another week. Woo hoo! This post is a whole lot of random things so here goes. . .
Monday night I went to dinner at Church for their special "Craft" Mac and Cheese night. This was my 2nd visit to Church. This is not your typical "bar" food type of place. The food is really good! 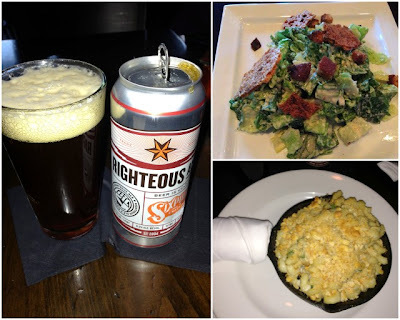 Chef Jon Rush features a mac and cheese dish prepared with artisan cheeses, meats, and vegetables and pairs it with a craft beer selection chosen by Beverage Director Adam Grushey. We had mac and cheese with lamb, green beans and mushrooms (I 86'ed the lamb). Our beer was Righteous Ale. Both were very good. The mac and cheese has a delicious topping which tasted like Ritz crackers and the cheese was very light but flavorful. So if you live in the Boston area I suggest you check it out on an upcoming Monday night. It wasn't on the menu so just ask your server for details! (The meal was free but opinions are my own)! Do you guys know Kristen? She use to have a blog but decided to stop. She kept up with Instagram so I was still following her. Several months back she announced on IG that she was pregnant. I was so happy for her and her husband. Then in March she found out she has breast cancer. Needless to say I was shocked and have been thinking about her and her unborn daughter constantly. 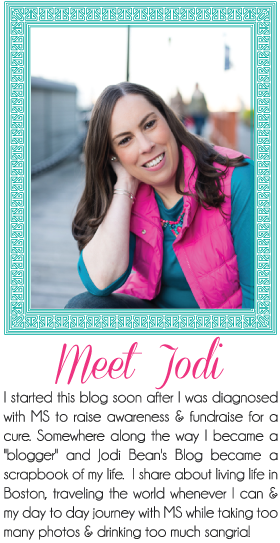 She started a new blog to keep everyone up to date with her journey. It is A Bump and A Lump (best name ever) and Kristen is blogging about cancer, chemo, pregnancy, and even has pictures from shaving her hair off the other day. She appears to brave and strong and I really hope everyone can go give her some support. She also has "How to Help" tab which I suggest you check out. I don't know Kristen personally but her story has really touched me. Here she is at one of the happiest times of her life being pregnant and WHAM. 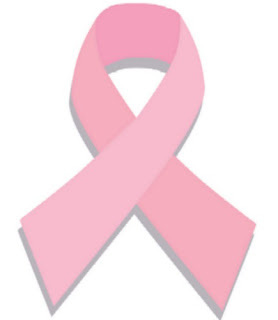 . . cancer. Ugh! I can't even imagine. Coming soon on my blog - a BlissDom swag giveaway. I figured I got enough stuff why not share it with my readers!!? In my opinion the Rutgers basketball coach deserved to be fired (only they should have done it months ago when the situation first came to their attention). For those of you who don't know what I'm talking about google it and a TON of things will pop up. Or just go here. I have to give Mike Rice credit for apologizing today, stating he was wrong and not making any excuses. He owned it. And that my friends is a big deal. He didn't act like he didn't do it or try to make it seem like it wasn't that bad. He owned it. He is taking responsibility. No abuse of any kind - verbal, physical, sexual, mental - should ever be tolerated. 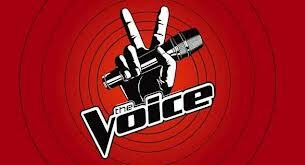 The Voice is back and it is greatness. Loving the new coaches - Shakira and Usher and of course I love Blake and Adam. There is such talent on this show. I love it. So entertaining. If you aren't watching it you are missing out. The first round is the most exciting - love watching to see who will turn their chair around! That is so sad about your friend, I checked out her blog. I'll be praying for her, she seems like a strong person and has so much love and support going her way! I totally agree about the Rutgers coach, no kind of abuse is acceptable- ever! so sad to hear about Kristen. I never followed her blog, but definitely feel for her. thanks for sharing the word. and that bar food sounds amazing! That mac and cheese looks divine! I'm going to have to give this Church place a try. Kristen's story makes me so sad! :( I'm definitely going to look at her blog. The mac and cheese looks extremely desirable. I love The Voice! I am totally Team Blake and I have been loving it!! And I will definitely be checking out Kristen's blog. I can't even imagine how hard all of that would be on someone, especially being pregnant. that sounds delicious! and i have to check out her blog!